IBM® Security zSecure™ Alert for ACF2 helps provide threat detection and prevention monitoring in real time for your mainframe security. It monitors for intruders and improper configurations and uses alerts and automated commands to counter attacks and configuration mistakes. By optimizing security event management and audit efforts to reduce your security maintenance, zSecure Alert for ACF2 enhances system availability and supplements access controls. 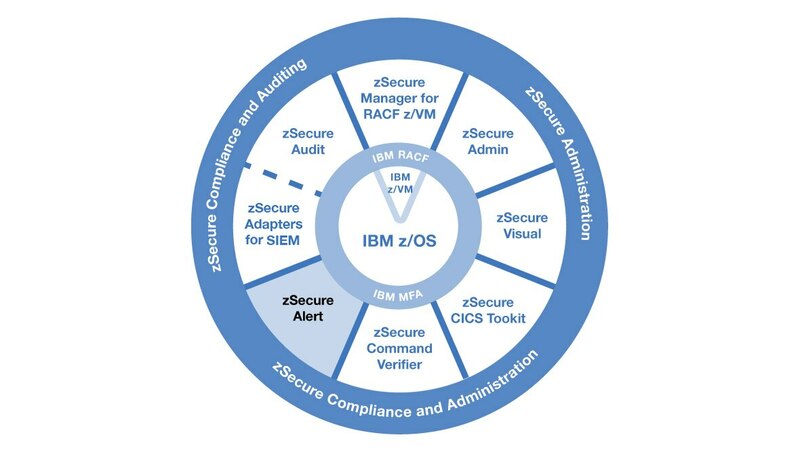 It is available for IBM z/OS® systems with IBM Resource Access Control Facility (RACF®) or CA ACF2. Monitors critical system settings and sensitive data to detect changes with no event triggers. Supports regulatory requirements and standards. Provides a threat knowledge base to help isolate relevant attack patterns and detect multiple types of attacks. Helps you take action before others can exploit knowledge of configuration mistakes. Sends critical alerts to help you quickly respond to security incidents. Automatically sends security information to QRadar® Security Information and Event Management (SIEM). Enables you to create and manage near real-time alert messages. Alerts can be configured to notify administrators and management when changes are detected.